Mon 1 Oct 2018: In the hospital delivery room, Chas Dingle has just given birth. Both Chas and Paddy Kirk’s joy is cruelly brief as they realise the countdown to Grace’s death has begun. 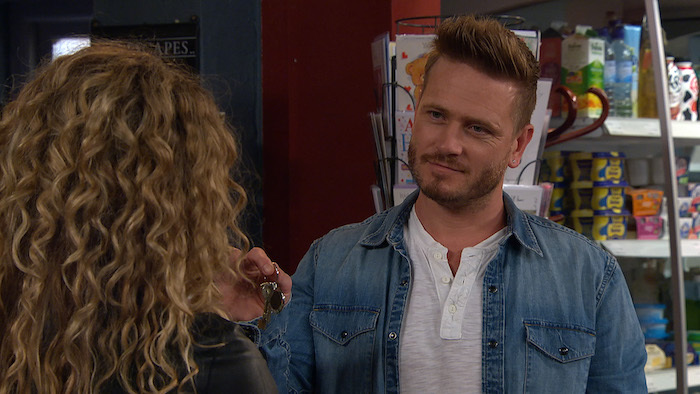 Tues 2 Oct 2018: When Maya’s left homeless, David Metcalfe invites her to live with him. Tues 2 Oct 2018: Maya Stepney accepts David Metcalfe’s offer to move in with him. 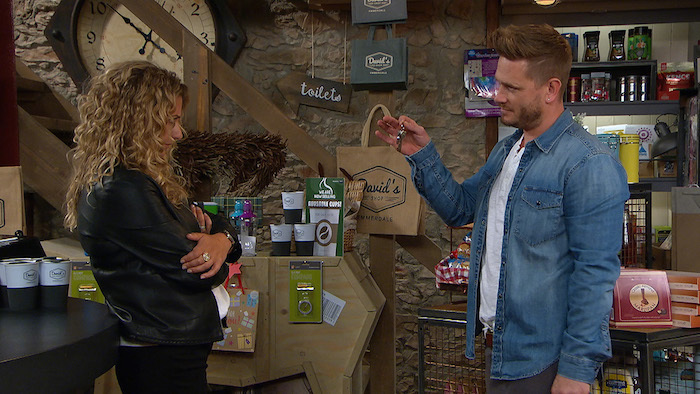 Tues 2 Oct 2018: How will Jacob Gallagher react to his and David’s new housemate? 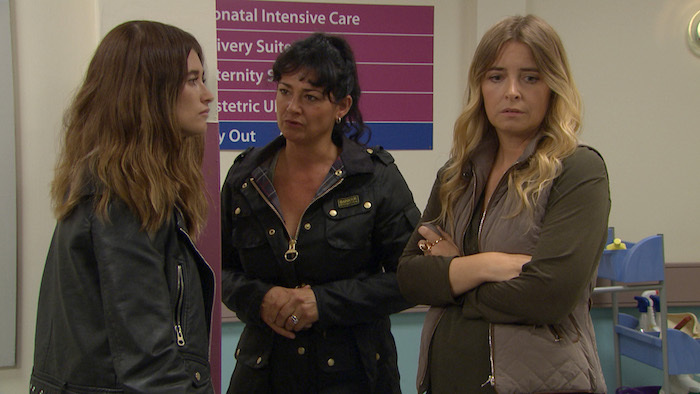 Tues 2 Oct 2018: Moira Barton arrives to tell Debbie and Charity Dingle that Cain has been arrested in France. Wed 3 Oct 2018: David Metcalfe hears a noise upstairs and goes to investigate. Wed 3 Oct 2018: When David Metcalfe sees a figure in a bathrobe he believes it’s Maya. Wed 3 Oct 2018: David Metcalfe gets a shock when he finds himself face to face with a blast from the past. Wed 3 Oct 2018: David Metcalfe is shocked to find Leyla Harding in da house! Wed 3 Oct 2018: Has Leyla Harding returned to win David’s heart now he’s semi-single? Wed 3 Oct 2018: David Metcalfe soon finds himself in hot water with Maya when she finds him in the bedroom with Leyla. Wed 3 Oct 2018: Nevermind Maya, how will Jacob Gallagher react to seeing ‘auntie’ Leyla Harding’s back? 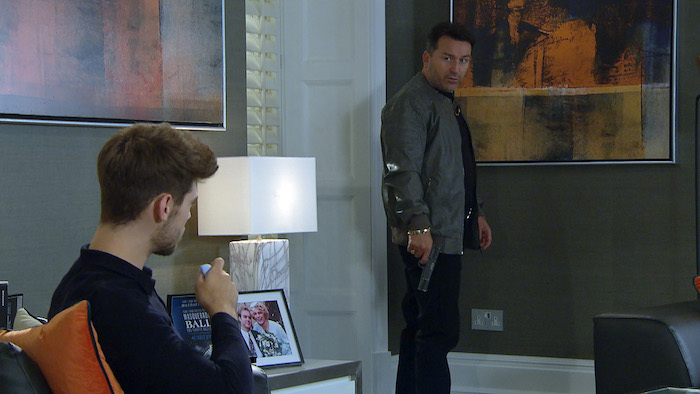 Wed 3 Oct 2018: Connor comes looking for Graham and he threatens Joe Tate with a gun, demanding to know where Graham is. Wed 3 Oct 2018: Worried for his life, Joe tells Connor he too hates Graham Foster. Wed 3 Oct 2018: Joe Tate tells Connor he will ensure Graham is at Home Farm tomorrow. 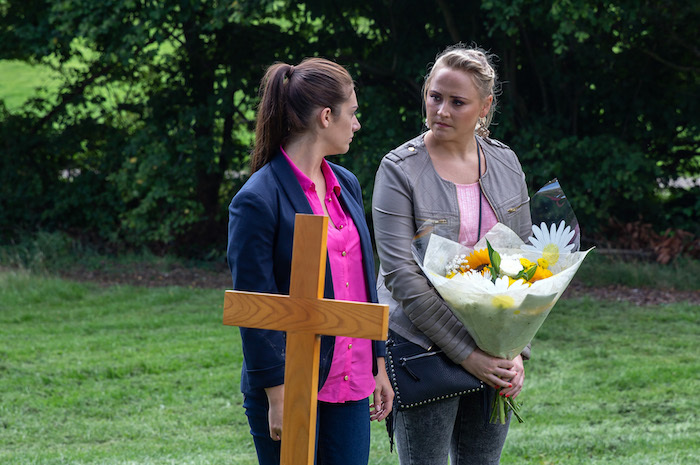 Wed 3 Oct 2018: Tracy Metcalfe and Victoria Barton lay flowers on Finn’s grave. Wed 3 Oct 2018: Victoria Barton is bitter that Adam can’t be here to do the same. Wed 3 Oct 2018: Victoria Barton walks away leaving Tracy Metcalfe puzzled. Thurs 4 Oct 2018 – 7pm: Connor stands over a bound and gagged Graham. Is he about to get his revenge? Thurs 4 Oct 2018 – 7pm: Tracy Metcalfe and Leyla Harding come face to face at the B&B… will Eric referee? Thurs 4 Oct 2018 – 7pm: Tracy Metcalfe grabs Leyla Harding’s things and chucks them outside. Get in Tracy! Thurs 4 Oct 2018 – 8pm: Liam Cavanagh and Bernice Blackstock enjoy getting to know each other better. Thurs 4 Oct 2018 – 8pm: Bernice Blackstock tells Liam Cavanagh they can’t go any further until she has ended things with Daz Spencer. Thurs 4 Oct 2018 – 8pm: Liam Cavanagh and Bernice Blackstock kiss but Bernice pulls back. 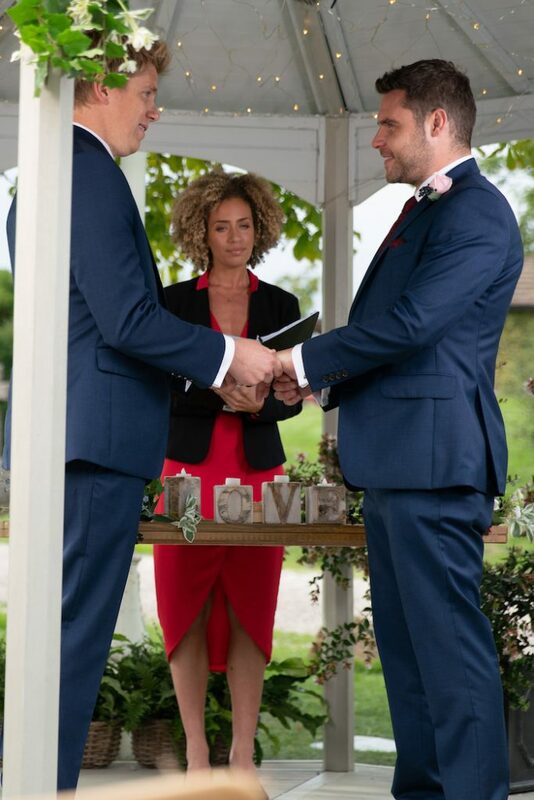 Thurs 4 Oct 2018 – 7pm: At a pagoda outside the Village Hall, the Robron wedding ceremony gets underway. Fri 5 Oct 2018: Ross Barton hires out the cafe to spend time alone with Rebecca White. 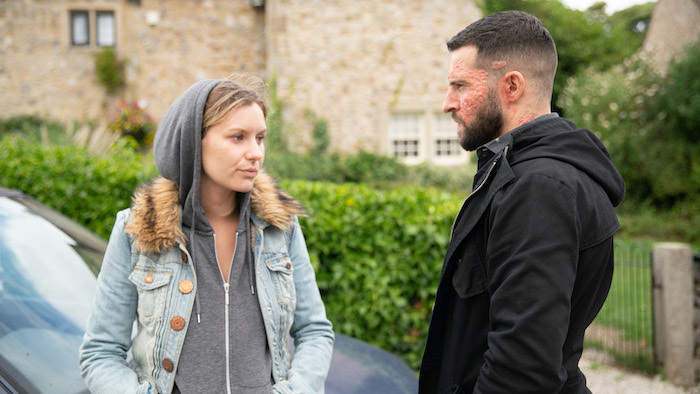 Fri 5 Oct 2018: Rebecca White questions Ross Barton about his feelings for her. Fri 5 Oct 2018: Ross Barton pulls Rebecca White in for a kiss. She tenderly kisses him back.